Record number of people are being evicted from their homes, disturbing new statistics reveal. More than 100 families a day are losing their homes, according to shocking analysis from Cambridge Centre for Housing and Planning Research. The report, conducted on behalf of the Joseph Rowntree Foundation, (JRF) found that more than 40,000 tenants were evicted by landlords in 2015 – an increase of a third since 2003 and the highest level ever recorded. The rise in evictions is linked to the growth of the private rental sector and cuts to housing benefit and is being driven by high numbers of ‘no-fault’ evictions by private landlords, the report said. More than 80 per cent of the increases in evictions were carried out under Section 21 – a law which allows landlords to evict a tenant after the initial rental period without giving a reason, and without any wrongdoing on behalf of the tenant. The report found that benefit reductions have combined to make rents unaffordable to benefit claimants in many areas. Housing benefit, which has not risen in line with private rents since 2010, no longer covers the cost of renting, with average shortfalls ranging from £22 to £70 per month outside of London, and between £124 and £1036 in inner London. A single mother, who was interviewed for report, said, “With the £50 a month (housing benefit shortfall) coming out of the JSA – that’s almost a week’s money in itself – and then you’ve got the other bills…I just couldn’t make it work. “I had to choose, what do I pay this month – do I pay the rent? Do I pay the electricity? Do I buy some food? And it just snowballed. The report found that tenants on low incomes are being evicted because their benefits do not pay market rents, and they are unable to afford alternative homes in the private rented sector, or access social housing. Of the 40,000 evictions, there were 19,019 repossessions in the social housing sector, and 22,150 in the private rented sector. The number of tenants evicted by private landlords exceeded the number evicted by social landlords for the first time in 2014, the report said. Unlike the private sector, tenants in the social housing sector can usually only be evicted for rent arrears or a breach of tenancy. Protracted eviction proceedings did buy people time to look for a new home, but often they found there was nothing they could afford, putting families under extreme levels of stress. Other people interviewed for the report waited anxiously for the eviction, hoping the local authority would then assist them. Agency fees, the need for a guarantor, and finding a deposit, were all major barriers to finding a new home. Most tenants would prefer social housing, but were either ineligible, or not a sufficient priority for allocation, the report found. JRF chief executive Campbell Robb, said, “Facing higher rents, a benefits freeze and impossible choices about what bills to pay, evictions have reached record levels and put families under enormous strain. 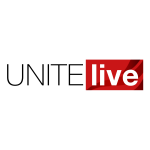 Head of Unite Community Liane Groves said a combination of welfare cuts and tenuous short-hold tenancies were “making a difficult situation much worse” for struggling families across the country. Unite national officer for housing Siobhan Endean said the union’s housing sector workers stood “shoulder to shoulder” with residents. “Staff cuts, pay cuts, and impossible targets for frontline housing workers all increase staff turnover and undermine our ability to deliver decent services,” Endean explained. “The government’s attack on social housing – through right-to-buy, the refusal to build enough affordable homes, a race to the bottom on housing services and determination to leave families at the mercy of the private rental sector – hurts everyone but the landlords. She added, “The Tories offer nothing but empty words when confronted with the harsh realities of Britain’s housing crisis – sky high rents, insecure tenancies, unaccountable landlords and rocketing eviction rates.